own method to the adjustment. Drs. 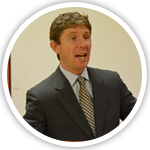 Billingsley, Luckett and Rossi work together to ensure the highest level of care for each person. Recent research documented that after every adjustment, the brain increases its level of activity. An increased level of activity in the brain is beneficial because it demonstrates increased communication between the brain and body, which supports healing in all of the body’s systems. As an example, if the liver is not producing enzymes correctly, after a chiropractic adjustment, the brain would start a healing process where the liver would start to self-correct. Regular chiropractic adjustments are proactive in that they stimulate this communication and self-correction, often before any symptoms of dysfunction appear. If you have only been adjusted privately in the past, our shared chiropractic adjustment room in Covington, Georgia might take you by surprise. Our patients tell us that they learn from us as we are counseling and adjusting other patients, and that they learn from each other. In that way, the shared adjustment room becomes an educational environment, a place to make new friends, enjoy positive energy and witness healings and restoration of health – yours and others. their growth and well-being. Most parents worry about an infant receiving chiropractic care. 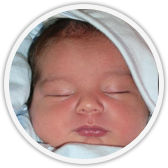 We are here to tell you that with our combined experience of 60 years adjusting infants, we have seen hundreds of infants recover and thrive, sometimes within minutes or over a period of time. The reason infants would need care is to help them be 100 percent of their potentiality: Examples of the need for care include: a baby not latching on properly, throwing up profusely, crying incessantly, not resting well, continually tilting their head to one side and not to both sides, overly lethargic, not gaining weight as expected, and not reaching their developmental milestones on time. Another symptom in infants is raising their head off of their parents’ shoulder. A parent may say, “Oh, my baby’s neck is so strong, he can lift his head off my shoulder,” however, this is actually a sign of a spinal spasm that needs chiropractic care. If it is not treated with proper chiropractic care, the infant is not able to cuddle, and the parents will often say, “My baby is just not cuddly,” but it is not that the infant does not want to cuddle, it is that the infant is not able to cuddle. Left untreated, this will mature into inner ear infections, and continue a downward spiral of health. All infants need to receive a special infant examination to determine if there are any issues. was created to help people understand current issues, concerns and to become highly informed consumers who know how to make choices that lead to true health. Absolute Health is a monthly course that includes a presentation, handouts with space to take your own notes, and a time of Q&A. It is recorded live and made available as an e-course. Presented by the doctors and released once a month, each lecture focuses on one aspect of moving away from harmful ideas and habits into simple, doable steps toward Absolute Health. Examples of topics include: Real Health and How to Get It; Living Chemical-Free; Living GMO-Free; The Sun Myth; The Germ Myth; How Hand Sanitizer Harms; Your Brain On Chiropractic; Busting Free of the Bad Food Fog – and more. Each is designed to bring participants closer to shedding the propaganda of health and acquiring the truths that will empower choices consistent with genuine health and vitality. Health Coaching can be added to the Absolute Health Club program to provide you with custom coaching to apply what you learn and to address any specific health concerns you have. Learn more at the online store. This would be true for all the joints of the body. After careful examination and observation, your doctor will determine if deep tissue muscle work is appropriate for you. 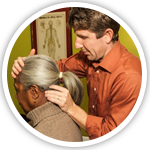 Each of our therapists brings his or her own unique specialty and we will match you with the appropriate therapist. You are always welcome to enjoy general massage therapy as you wish. Simply book an appointment at the front desk for one of our deep tissue massage therapists. We can no longer, if we ever could, blindly trust information from medical, pharmaceutical and food marketers, makers and regulators. Because what we eat, use in and on our bodies, and expose our bodies to all have such a direct impact on our brains, bodies and overall health, we have made it a high priority to bust myths and identify truths about how to eat healthy and live a healthy lifestyle. 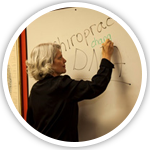 We are continually researching, expanding our knowledge and passing it along to our Covington chiropractic patients. Classes are held weekly at the Billingsley & Luckett Chiropractic Life Center, and will soon be available to all via the Internet. We believe that true knowledge empowers people to make better choices to support their ability to live healthier, happier lives. function on a daily basis and to rest, repair and recover from stress, injury and illness. But that is not the case today. People today must be highly educated to understand what is and is not good nutrition. Simply eating food that is promoted everywhere and readily available in fast food restaurants and grocery stores will not a healthy body make. Americans in general eat poor-quality foods devoid of nutrients, and not enough fresh fruits and vegetables. We eat a tremendous amount of prepackaged, pre-made meals, and most of our grains are processed, not whole. One-quarter of Americans eat at fast food restaurants each day. What this all means is that in general, Americans are overfed and undernourished. Even people who are aware of nutritional concerns and have an understanding to avoid highly processed foods, GMO foods and all things not organic can still be undernourished or lacking in certain nutrients that will greatly affect their health and well-being. We provide nutritional counseling to identify potential needs, and whole food supplements to rectify the imbalance. We use a questionnaire that was developed using the most recent information into the nutrient needs of the human body, and because you answer the questions about your own body, it is fully customized to suit your needs. 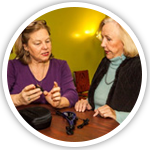 The questionnaire and results are offered at no cost to patients.